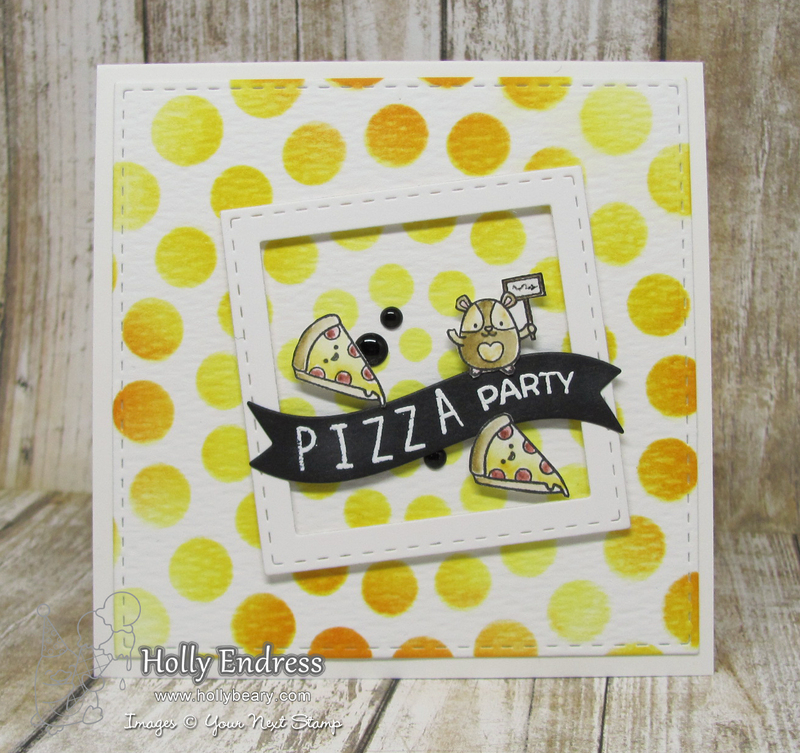 Hollybeary Creations : YNS March Preview Day!! Happy Saturday everyone!!! 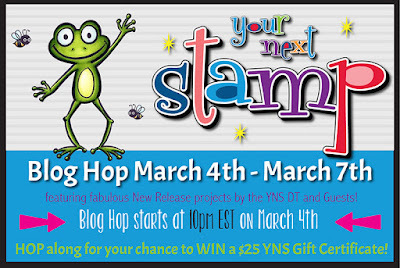 It's time for a peek at the Your Next Stamp March release!!! Be sure to head over to the YNS Blog for a link to all of the design team member's blogs for a peek at more products coming tonight at 10pm est. My sneak project using the new planner set Plan the School Year. I created a 4x4 panel of watercolor paper using the stitched square die cuts and then I added some Distress inks through a stencil. I adhered the panel to a 4 1/2 x 4 1/2 card base and then I created a frame using the Stitched Square dies. I adhered the frame using some foam tape and then I stamped all the images onto some watercolor paper and colored them in with Distress Markers and a damp paintbrush. I fussy cut all the images and added them with foam adhesive. 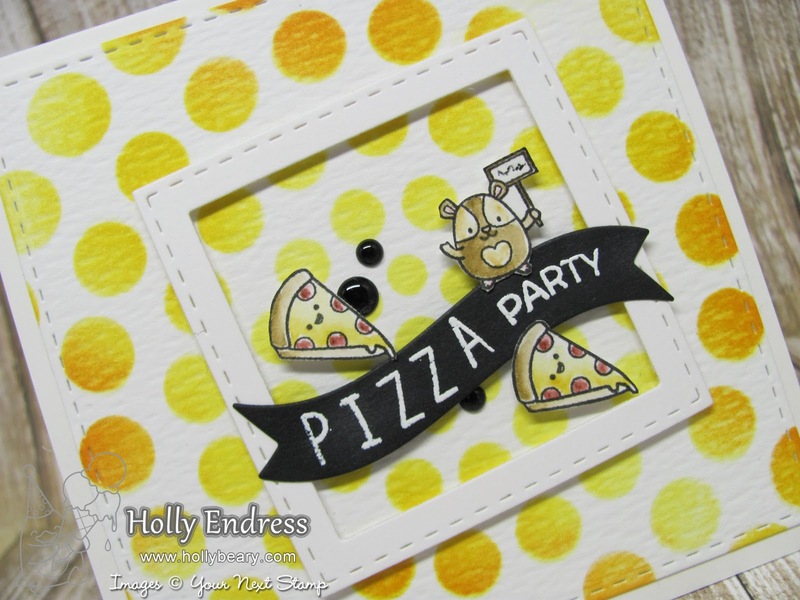 I created a banner using the Cool Tag three die set and stamped Party from the Plan the School year set and then I stamped the Pizza using the Mini Letters and Numbers set. 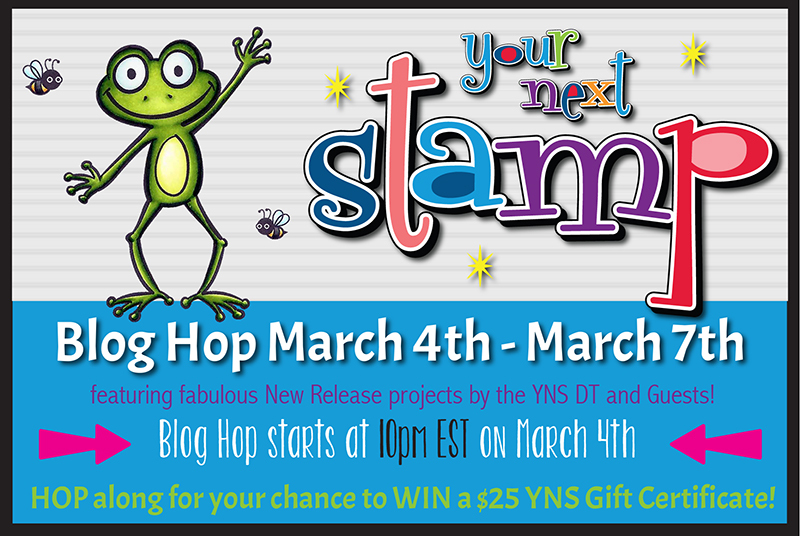 Head over to the YNS Blog for more sneak peeks and join us at 10pm est tonight for our New Release Blog Hop!! Love that polka background and sweet little critter Holly! What a cute card. I love the little hamster! Can't wait to see the rest of the set! I love it. I never know how to use small images on cards. You did such a great job using the space and great colors. Awesome! So adorable! That little mouse is so cute. Love your blended dots. Looks like they got toasted in the oven too! What a fun card! The stitched squares are awesome. Cute mouse and loving the shaded polka dots! !